In late May, XCOR announced that it has raised a $14.2-million Series B funding round that would fund continued development of its Lynx suborbital vehicle. The round was led by Space Expedition Corporation (SXC), the Dutch company that had been selling Lynx flights in recent years. Two of SXC’s officers, Michiel Mol and Mark Hoogendoorn, joined the XCOR board as part of the deal. 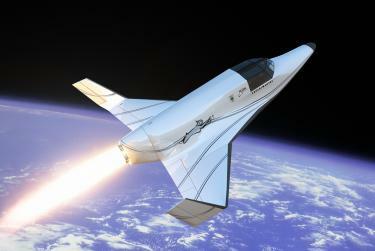 On Monday, SXC and XCOR worked out another deal. XCOR Aerospace announced it was acquiring SXC’s “operational subsidiaries”, which would now be known as XCOR Space Expeditions and operate as a wholly-owned subsidiary of XCOR. The company declined to announce the terms of the deal beyond that it was an all-stock transaction. SXC has its origins as Space Experience Curaçao, which, as the name suggests, planned to perform suborbital spaceflights from the Caribbean island of Curaçao, a constituent country of the Kingdom of the Netherlands. SXC announced plans in 2010 to “wet lease” a Lynx from XCOR, an arrangement designed to allow Lynx flights outside the US and comply with US export control regulations. In 2011, SXC signed an “eight-figure” wet lease contract with XCOR, with plans to begin flights in Curaçao in 2014. In 2012, SXC (which by this time had become Space Expedition Corporation) agreed to become a sales agent for XCOR Lynx flights. Update: while the headline of the XCOR press release is “XCOR Aerospace Acquires Space Expedition Corporation,” the acquisition is a bit more complex than that. As XCOR spokesman Bryan Campen explained in an email Wednesday, SXC operated multiple subsidiaries, including those responsible for flight sales and operations, and a joint venture for sales in Asia. In Monday’s deal, XCOR acquired those subsidiaries from SXC; those subsidiaries will continue to operate much as they did before, but under new ownership and the new XCOR Space Expeditions name. The parent SXC company (formally named Space Expedition Corporation, N.V.) was not acquired in the deal and continues to exist as a “passive investment holding company,” according to XCOR. SXC received XCOR common stock in exchange for the SXC subsidiaries, in a transaction separate from the stock SXC received as part of its investment in XCOR announced in May.